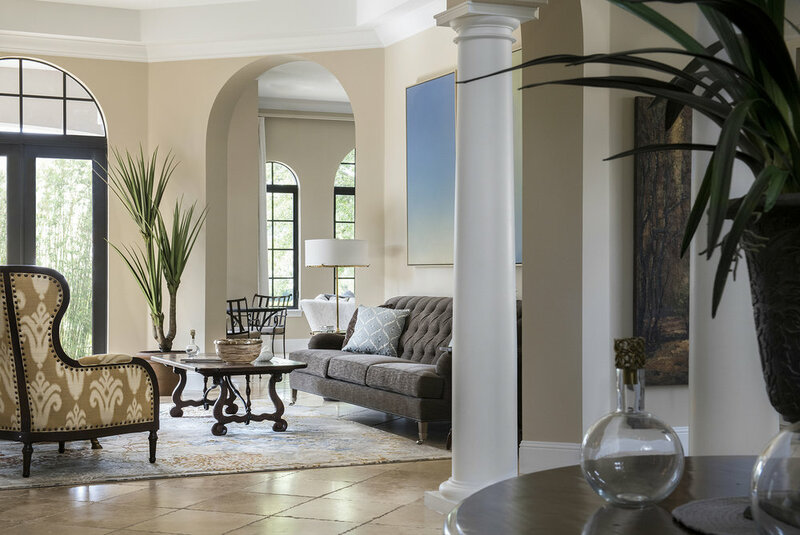 This Orlando, FL furnishing project gave a gracious, welcoming feel to this newer home with Mediterranean bones and simpler detailing that leans toward contemporary. To balance out the dark metal windows with the light backdrop, dark woods and metals were added sparingly throughout. These darker pieces also add a taste of Old Florida romance. This Des Moines, IA design features finishes selected to visually heighten a low ceiling and to draw attention to the client’s world class art collection. Clean lined furnishings allow the art and stone fireplace cladding with fish fossils to remain the center of attention. 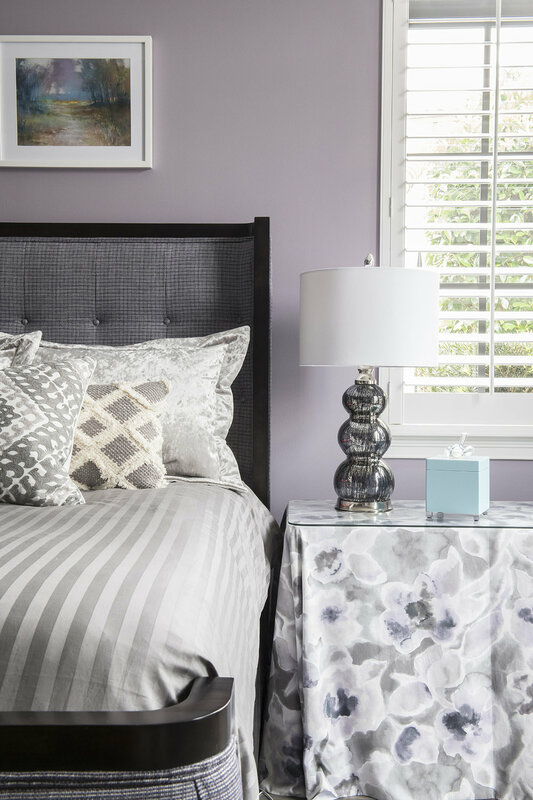 This project received a ‘Best in Show’ ASID award.